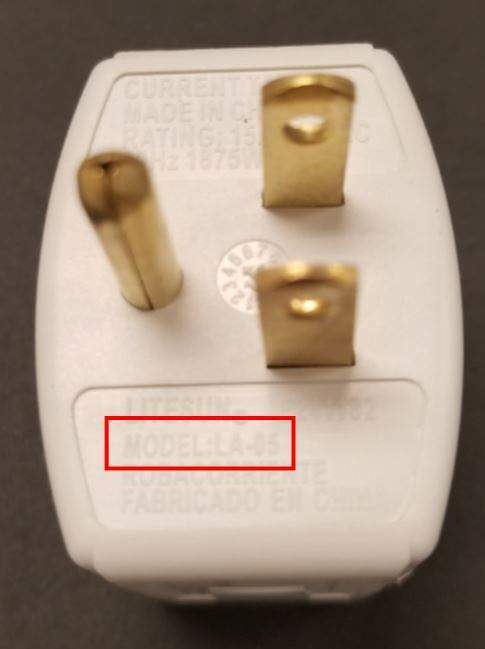 Location of model number LA-05 on the outlet converter. 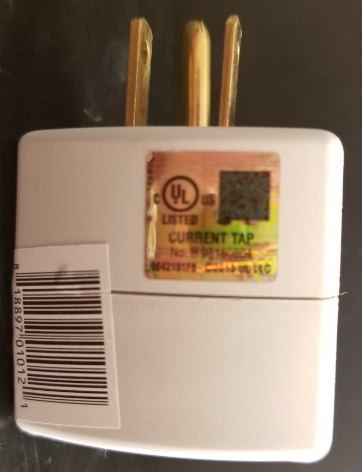 UPC sticker and UL listing. 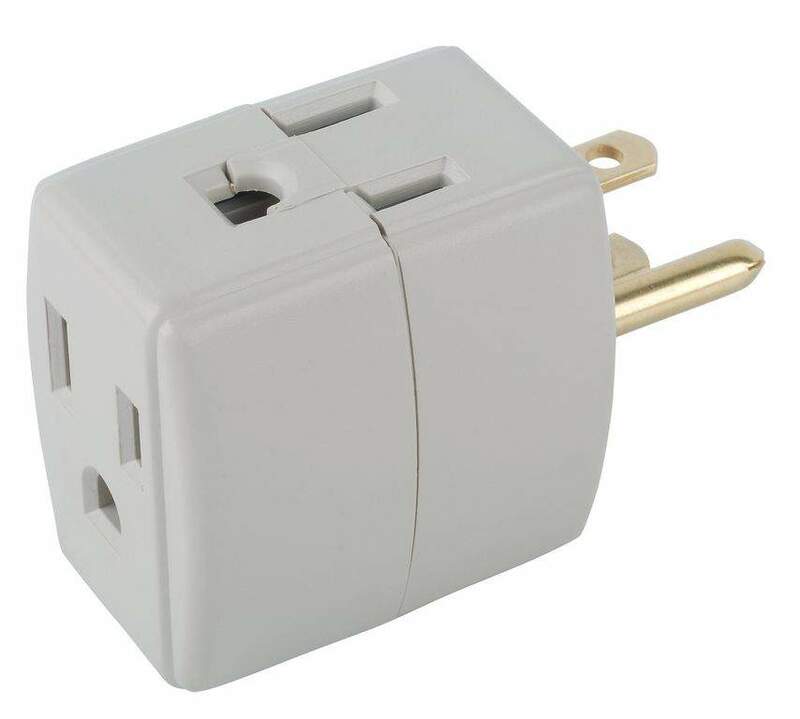 Outlet converters recalled by Ningbo Litesun Electric with Home Depot due to the outlet converters front outlet prongs are not configured correctly, resulting in reverse polarity when plugs inserted, posing shock and fire hazards. Consumers can contact Home Depot toll-free at 877-527-0313 from 8 a.m. to 7 p.m. ET Monday through Friday and 9 a.m. to 6 p.m. ET Saturday or online at www.homedepot.com and click on “Product Recalls” located under customer service for more information. The outlet converters were sold exclusively at Home Depot stores nationwide and online at www.HomeDepot.com from February 2017 through July 2017 for about $5.